If there is one scary show that hooked me to my seat it would be The Walking Dead. At first I don't wanna really watch it because I don't wanna be scared in any level. But when I took the chances and eventually swallowed the chicken in me, the reward actually was a thrilling show with a great story of survival, human nature and gore fest. Now, the show is already on its fourth season and no one can really blame me if until now I still loved the show. The upcoming season is out in more than a month and I am preparing a lot of tissues for the unfortunate fate of some of my favorite characters. Its quite scary to imagine what happens to the survivors as suggested by this new banner poster of The Walking Dead Season 4.
Who will be killed in the power struggle between The Governor and Rick? Who will become of the dead walker zombies? Will the Prison stand or will it fall just like what happened to the group's refuge in the previous season? 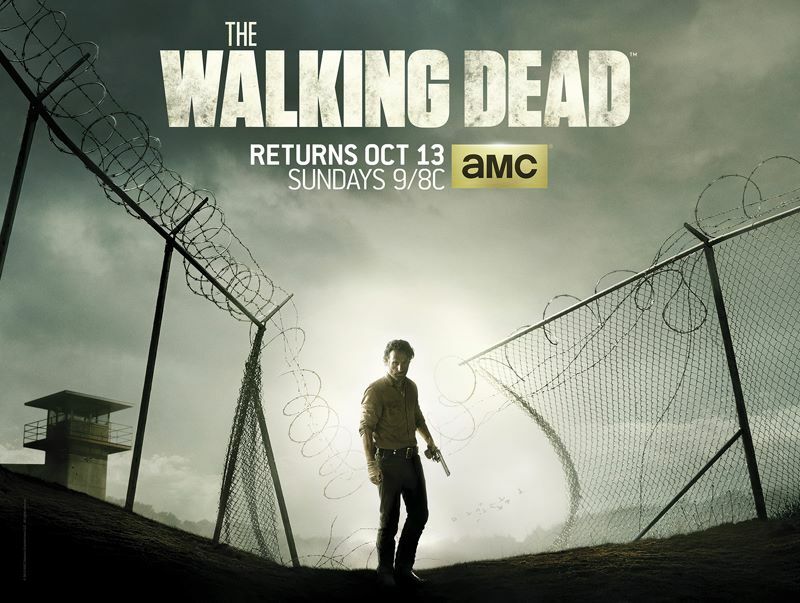 The Walking Dead Season 4 premieres with the episode 30 Days Without An Accident on October 13, 2013 only at AMC.